Marco Island is a city in Collier County, Florida, United States, located on an island by the same name in the Gulf of Mexico off the coast of Southwest Florida. It is a principal city of the Naples - Marco Island Metropolitan Statistical Area. The population was 16,413 at the 2010 census.Marco Island is the largest barrier island within Southwest Florida's Ten Thousand Islands area extending southerly to Cape Sable. Parts of the island have some scenic, high elevations relative to the generally flat south Florida landscape. Like the city of Naples to the north, Marco Island has a tropical climate; specifically a tropical wet and dry or savanna type (Aw under the Köppen system). It is known for distinct wet and dry seasons, with most of the rainfall falling between the months of June and October.HistoryThe history of Marco Island can be traced as far back as 500 A.D., when the Calusa people inhabited the island as well as the rest of southwest Florida. A number of Calusa artifacts were discovered on Marco Island in 1896 by anthropologist Frank Hamilton Cushing as part of the Pepper-Hearst Expedition. The most notable artifact discovered was the carved wooden "Key Marco Cat" which is now on display at the Smithsonian Institution. 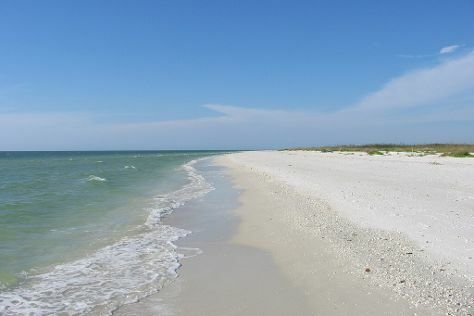 Marco Island is in Southwest Gulf Coast. Add Marco Island and other United States destinations to your travel plans using our United States online trip maker .